Amazing ranch excellent for cattle with new pave road!! Did you look at the price? 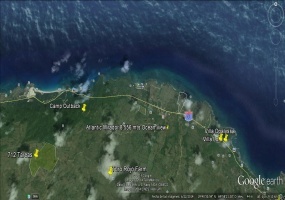 yes Only US$285.000 for 331 acres!! !This magnificent property is excellent for raising cattle. Most of the terrain is flat and can hold up to 400 cows, there are some small rivers giving it water all year around. Cattle business is growing quickly !! This farm is Also owned by the famous rancher Paul and it has the same features as the other farm.The Only difference is the size. Stunning ocean view Estate on the hills!!! This property comes with 15.5 acres and a two story house, pool, gazebo, gameroom, large terrace, horse stables, 6.5 generator, 2.5 inverter, water, electricity and a spectacular ocean view.Minutes away from many beaches, the golf course and 50 minutes from the airport. The highest ocean view & mountain view!!! Unobstructed 360* ocean & mountain views. Perfectly located on Abreu Hills. Access road, water and electricity.Only 5 minutes from Playa Grande beach & Golf Course and 1 hour from Puerto Plata airport. Ocean view property on the green hills of La Catalina !!! 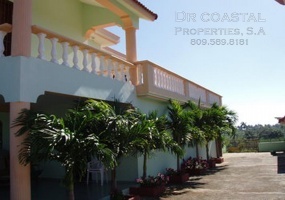 Astounding property situated on the high hills of La Catalina with a marvelous ocean view. Minutes away from many beaches, 10 minutes from Playa Grande beach & golf course and 45 minutes from El Catey airport. 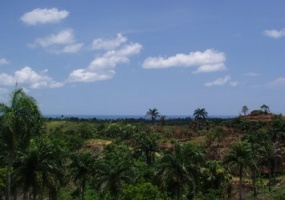 For sale 100 acres farm in Abreu, Dominican Republic, with 2 houses, barn, and a guest bungalow.There is a recently renovated two-bedroom house, as well as new outside kitchen (rustic Dominican style), and small guest house.Main house equipped with indoor and outdoor kitchens.Property has panoramic breathtaking views of mountains and ocean, organic fruit and vegetable gardens, and riding horses. Excellent cattle ranch! 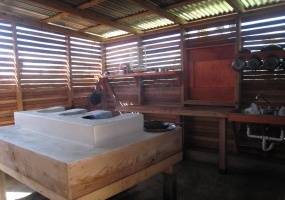 This cattle ranch is very productive, It has very nutrituous pastures and an automatic cow milking machine. The area is just spectacular lush green vegetation all around. 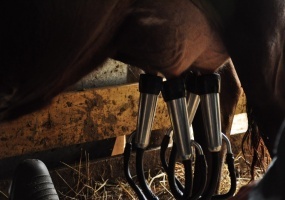 The cow weighting station is a few minutes away.Start the stress free life. Exceptional farm with a house & a pool!! !Very good property with everything necessary to run a successful farm.Features:2 story house with a poolStables in very good conditionWater, electricityCombination of rolling hills with flat terrain and a small lake.Entire farm has the best grass for the livestock. 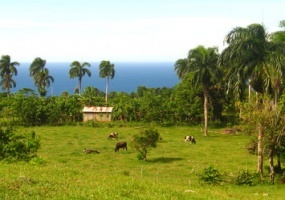 Tremendous farm of 94 acres with 3 beautiful small rivers going through the property.It also has an amazing ocean view and is located only 10 minutes from the town of Rio San Juan.This farm is excellent for cattle with very nice pastures.Owner is very motivated to sell.